Don't Replace, Don't Reface, Restore & Save More! Save thousands by renewing your old, worn cabinet finish to a like new condition. Call (925) 753-5002 for more information about our restoration service. 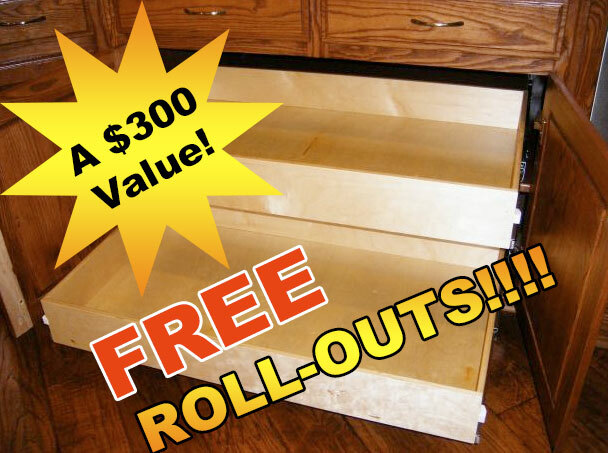 Request a FREE Quote and Get $100 OFF Your Cabinet Restoration!!! of a remodel. This is a popular option because you get the remodel look, without the remodel price. We start by replacing your existing cabinet doors and drawer fronts in paint grade, stain grade or RTF (Rigid Thermal Foil) materials. We offer these range of options to accommodate your taste and budget, we have something for everyone! Our new doors include the modern interior, soft-close hinges. 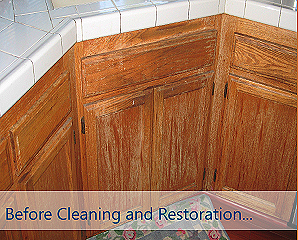 Then we paint or clean & restore your cabinet boxes, depending on your specific project. 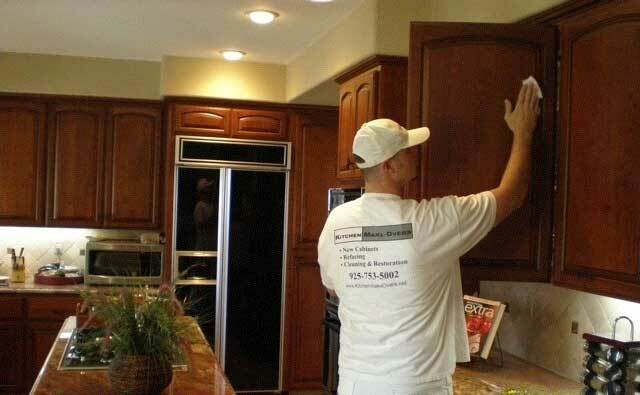 Kitchen Make-Overs does offer cabinet modifications and can build and install miscellaneous cabinets as well. 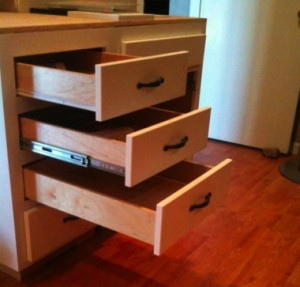 We can remove and replace existing cabinet drawer boxes which includes full extension, soft-close hardware and also roll-out shelves for pantries or for pots and pans. Services include upgrade or changing out crown moulding, replacing cutting boards and installing tilt-trays. With over 20 years in business, Kitchen Make-Overs has the knowledge, reputation and experience to help you with your kitchen cabinet transformation. Call us today for more information or a free estimate @ 925 240-5002 . People are discovering they don’t have to reface or replace their cabinets to have their old, worn cabinets look like new again. 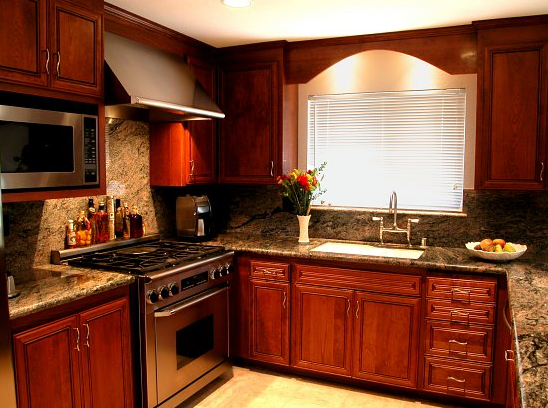 Kitchen Make-Overs has been in business for over 20 years and we are experts in the cabinet restoration industry. 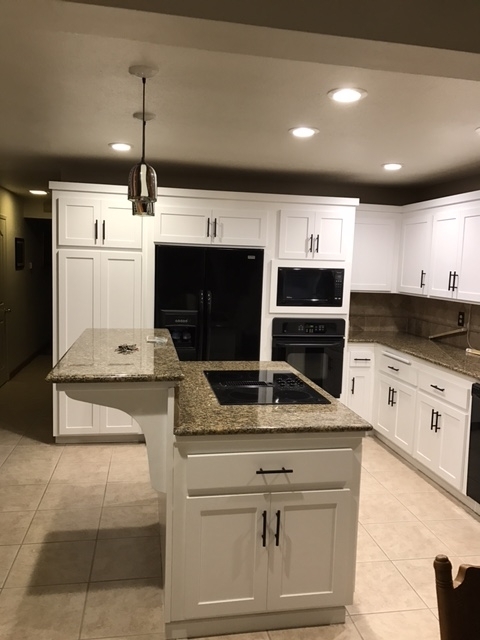 With our cabinet restoration service, we can save you thousands by renewing, restoring and revitalizing your existing cabinet finish to a like new condition usually within a few days. Our service includes cleaning the entire cabinet surface to remove any build-up. 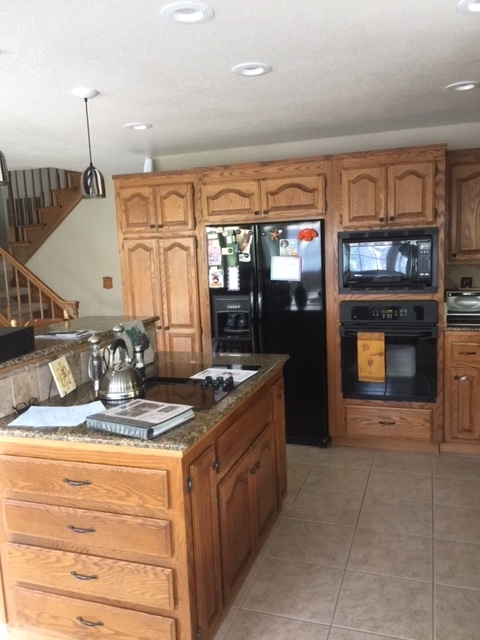 Next, we follow-up with a wax wash, repair the color in damaged areas and finally we apply three coats of a hard, clear finish to protect your cabinets (we don’t just clean and apply oil like some other companies do). Did you know that real wood kitchen cabinets attract more grease, grime, and dust than any other area of the house? Sometimes a good cleaning and restoration is all that is needed. Overtime, kitchen cabinets can get scratched, worn, and discolored due to steam, sunlight, water or just everyday use. 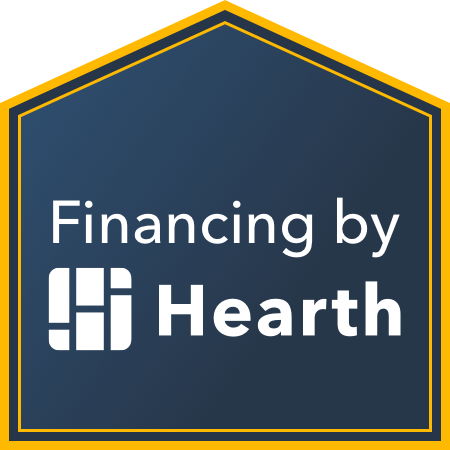 Rather than spending tons of time and money for a complete renovation, consider a more cost effective solution. 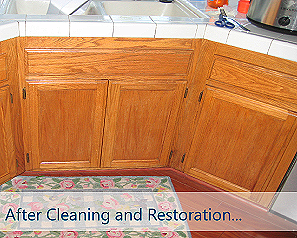 Kitchen cabinet cleaning and restoration will save your cabinets and your pocket book. Kitchen cabinet cleaning and restoration is a proven, easy, effective way of preserving your existing cabinetry and save you from the hassle of expensive remodeling and the inconvenience of completely reinstalling a new kitchen. 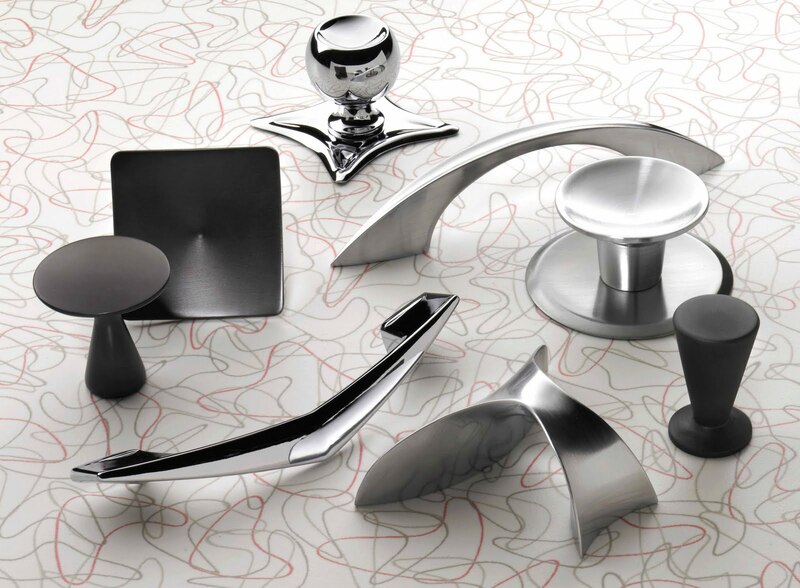 Make your kitchen look new again in the most cost effective way. Schedule your free estimate today! And more . . . . Call the Experts! 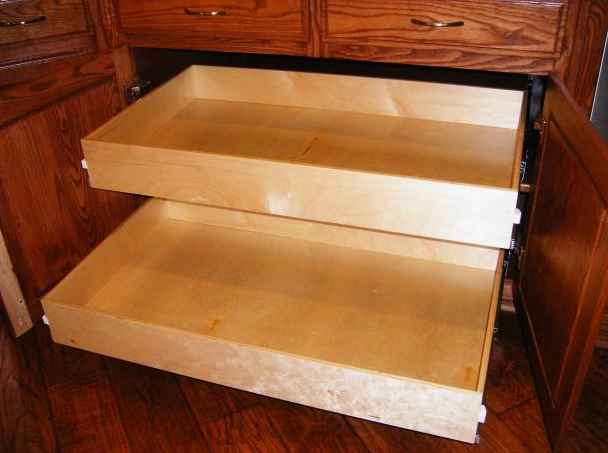 Save Thousands By Restoring and Preserving Your Wood Cabinets.